It was a 17 and 1/2 hour office occupation that began just after the lunch hour yesterday in Portland. We gathered outside the office of our Rep. Tom Allen's office at around 11am and began handing out leaflets and holding signs calling for an end to funding of the Iraq occupation. Just as we were ready to enter Allen's office to sit-in we learned that he had decided to vote against any more funding for the occupation unless there was a "withdrawal goal timeline" in the bill. Even though this was not exactly what we wanted, these timelines are non-binding, it was still progress and we decided to move on to the next target. The vote was supposed to happen yesterday but has been delayed because the Democrats coalition is dissolving. So we marched our way a few blocks to the office of Sen. Susan Collins, the Republican who has of course also voted over and again for the occupation funding. We entered the office with 20 people and jammed into her outer office waiting room. After a bit the staff of the senator invited us into their conference meeting room further inside the office. Two of her staff then asked us all to introduce ourselves and to state why we came. The statements made by the group were strong and moving and after we finished the staff promised they'd pass on the remarks to the senator and then invited us to leave. We said we needed to know how she planned to vote. The staff reluctantly replied that the senator would be "supporting the troops." We said we were not going to leave until the senator agreed to vote against anymore funding. The impass began. We sat in the conference room and the staff left and closed the door. After an hour or so I suggested me might move out of the conference room, where we were highly contained, into the office itself where we'd be more of a bother to the staff. So we did and the staff was not at all happy about it. By the early evening we were 12 people left and it was clear that they were not going to do anything to get us to leave because the senator, who is running for reelection this year, did not want anymore bad press after she had a week of it following the jury acquittal of the Bangor 6 who had similarly sat in her office last year and had just gone to trial and won their case. The staff did make sure that we could not use the bathroom and kept a security guard on the front door so that if any of our folks left the office they'd not be allowed back in. We spent the hours reading poems by those being held prisoner by the U.S. in Guantanamo and singing songs. At 12:30 am some of the older women with us had to leave because they needed to go to the bathroom so badly. That left six of us. By 3:30 am we were down to 4 sitting-in. Actually we were laying on the floor trying to sleep by that time. At 4:30 am I had fallen asleep and one of the staff ran a chair on wheels into me as she continued her nasty tactics of intimidation. She had previously pulled a chair out from under my legs and taken my shirt off the back of one chair and thrown it onto a table. Then she turned the office TV up very loud onto an obnoxious commercial marketing station but one of our folks reached up and turned it off. At 5:00 am the four of us left and went to the nearest diner and headed for the toilet and then had a well deserved breakfast. I was home by 6:30 am and spent much of the day sleeping. As we were leaving the office of Sen. Collins early this morning her tired and very grumpy staffer, who had tried to run me over with the chair, was sitting by the door. I said "We'll see you next week." The look on her face was priceless. We meet tomarrow to discuss our next steps to continue our opposition to Iraq occupation funding. We can't forget the suffering Iraqi people and those GI's who are being sent back to Iraq for the 3rd or 4th time. This madness must end and we have a big role to play in making that happen. Those with us yesterday included Mary Beth Sullivan, Karen Wainberg, Sally Breen, Phil Weyenberg, Selma Sternlieb, Debbie Leighton, David W. Chipman, Elizabeth Streeter, Suzanne Hedrick, Lawrence Reichard, Peter Woodruff, Laurie Dobson, Luke Gizinski, Julian Holmes, Jeffrey Soule Phillips, Ronnie Wilson, Mair Honan, and Louise Lora Somlyo. This report covers the period of April 29 – May 5 as I traveled to Sao Paulo, Brazil to speak at the Global Greens Congress. This was the second such Global Greens (GG) event and was attended by hundreds of people from 88 countries. There were 21 African countries represented at the conference. My speaking invitation came from U.S. Green Party member Julia Willebrand whom I met while speaking in New York City last August. She arranged, with some difficulty I learned, to have me speak on a plenary panel and specifically asked me to address the impacts of militarism on climate change. I took the bus to Boston, the train to New York, and then flew to Sao Paulo from there. Fellow Mainer, and long-time Green Party stalwart John Rensenbrink was on the same plane and we roomed together in a downtown Sao Paulo hotel. The plane trip was about 10 hours long and only 1/3 of the seats were full so we each got to stretch out across three empty seats during the flight. The conference was largely focused on climate change and the stories from around the world were heart breaking. 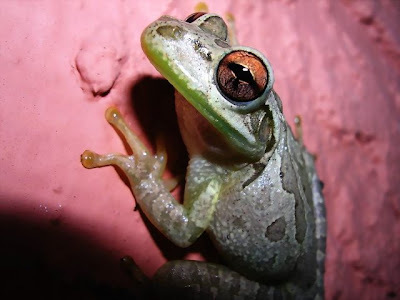 A Peruvian Green talked about the “extinction by human intervention” in the Amazon where 20% of the reptiles, 20% of the birds, and 34% of the fish are now gone. A Mongolian Green told a tragic story about how gold mining is poisoning the water, killing nature, creating sickness for the people and causing 50% of the forests to be lost. He urged us to boycott gold. Easy one for me. As I made this trip, food was big in the news. Rising gasoline prices have dramatically impacted the price of the global food supply. Climate change has had enormous impact on food production as we see the cost of food rising by 40% in 2007 and 80% in 2008. Protests around the world, just in recent days, are a foretelling of the future. Brazilian Green Fabio Feldmann, a member of the parliament, told the audience that needed changes must come from political action. “We need new governance models,” he said. Feldmann also reminded us that the U.S. had not signed the Biodiversity Convention in 1992 because the pharmaceutical industry opposed it. I wrote “death culture” in my notes as he spoke. I was the only one to speak about militarism and the connection to the environment and climate change. I was very surprised by this. The fact is that all the speakers made dramatic appeals for immediate and massive structural change and investment in green technologies and conservation if we are to save the Mother Earth. How, I asked in my plenary presentation, can we effectively deal with climate change if we allow a new expensive and destabilizing arms race in space to happen? We must convert the global war machine immediately and use those resources, now wasted on endless war, for the needed investments to deal with climate change. I suggested that the proposed 21-point Declaration that would be approved on the last day of the Congress needed to include calls for the prevention of an arms race in outer space and conversion of the military industrial complex. As I finished my talk I was given a rousing applause by the several hundred people in the audience. One U.S. Green delegate approached me and asked me to write down the specific language I thought should go into the final Declaration, which I immediately did. He made sure it was formally introduced into the process. Sadly, the final document made no reference to either point. One telling panel was called “Between Government Responsibilities and Fundamental Opposition.” This session addressed the question “What changes occur if Greens engage in parliaments and governments? Does this affect the relationship between Green parties and social movements and how do we deal with conflicts between ‘ethics of conviction’ and an ‘ethics of responsibility’?” In other words, once in power should Greens go along to get along? Or should they stick their neck out on “controversial” issues? A Green member of parliament from the Czech Republic, that is now in power as part of a coalition with their right-wing government, talked about how taking cautious steps was important if one hoped to remain in power to do the “good works” required to deal with climate change. Surprisingly she never mentioned the current controversy and enormous challenges facing the Czech Green Party as they now hold the deciding votes which will determine whether or not their parliament supports the planned U.S. deployment of a Star Wars radar base in their country. I later learned from another Czech Green member that out of their six Green members of parliament, two of them are likely to support the radar, which will likely be the winning margin for Bush in an evenly divided government. A member of the European Greens told me that they had recently met and wanted to pass a strong region-wide resolution against the proposed deployment of the U.S. radar in the Czech Republic. He said one of the Czech Greens, who will likely support the radar, insisted that the resolution be weakened to say that if NATO supports it then it would be acceptable. Apparently this amended resolution was passed. Reinhard Buetikofer, Co-President of the German Greens, while addressing this issue of cooperation with more conservative power blocs, argued that military intervention to support “human rights” was necessary and thus should not be ruled out. “What would we do if another Adolf Hitler was to come along?” he asked. We have one today I thought to myself – his name is George W. Bush. Are we all doing enough to stop his program of empire building and endless war, I wondered? The German Greens, once in power but now out of the ruling coalition, have experienced this “dilemma” first-hand. Their party supported the U.S. attack and invasion of Afghanistan in 2001. A year or so later I was speaking at a conference in Southern Germany and was on a panel with a German Green Party leader. In the Q & A many peace activists in the audience were furious with the Greens for having supported the U.S. invasion. The German Greens fell out of power in 2005. One truly inspiring moment at the Congress was watching a video of the speech by Ingrid Betancourt from Columbia at the last Global Greens Congress that was held in 2001 in Australia. Ingrid is a politician, former senator and anti-corruption activist. She was kidnapped by the Revolutionary Armed Forces of Colombia (FARC) in 2002 while campaigning for the Colombian presidency as a Green, after she decided to campaign in an area of high guerrilla presence in spite of warnings not to do so. She is still being held hostage by the FARC. In her 2001 speech Ingrid called the global economic machine a “system of self destruction.” “The first thing we must defeat is our own skepticism,” she said. Her call to relentlessly organize and remain passionate moved the audience of Greens once again. One evening while eating dinner one of the Greens from Mongolia, a businessman, was sitting at a nearby table. He congratulated me on my talk and told me that at first he was “shocked” that I was being publicly critical of my government. He said that he believed it best to work with existing governments and not to be publicly critical of them. But he then went on to tell me that he learned a lot from my speech and appreciated it by the end. I told him that I thought democracy meant that citizens, and political leaders, should challenge their governments when they know they have gone wrong. Many other Greens from places like Sweden, Canada, Japan, Dominican Republic, Holland, Hungary, New Zealand, Belgium, Norway, Portugal, Africa, and the U.S. gave me strong positive feedback after my plenary speech. Several asked me to send them the text of my talk so they could pass it around in their country. I was extremely grateful to have been invited to speak before such an important conference and such wonderful people who are doing the good work to help protect all life on this beautiful planet. The question of political parties and power, how they should work and compromise with existing power structures, is an important topic to debate. But in the end it is equally important to create new alternative political formations that give voice to the important issues of our time. The tensions over power and compromise will always be with us. In the end, I come away reminding myself that I am an activist first and I am certain that my job is to stand strong for what I know must be done if we are to survive on this spinning satellite we call Earth. I need not worry about negotiating this point or that. My job is to speak for all life, to represent those who cannot speak. My task is to remain steady during those moments when those in power seem most intractable. My role is to tell it like I see it and let the chips fall where they may. That I shall continue to do as long as I draw breath on my mother planet. 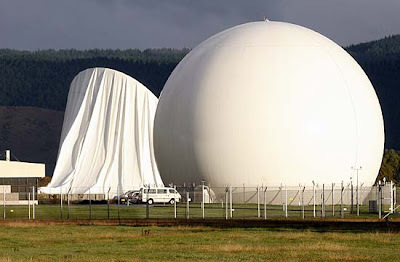 On April 30 at 6:00 a.m. in the morning morning three Christian activists from "Ploughshares Aotearoa" entered the Waihopai Spy Base in New Zealand and used sickles to deflate one of the two 30 metre radomes covering satellite interception dishes. The members then built a shrine and prayed for the victims of the war with no end - the so-called 'War on Terror' led by the U. S. Empire which also controls the New Zealand taxpayer funded Waihopai spy base. Samuel Peter Frederick Land, 24, of Hokianga, Adrian James Leason, 42, a teacher from Otaki and Peter Reginald Leo Murnane, 67, a Dominican friar from Auckland, were arrested by police who are considering charging the men with sabotage under the Crimes Act, an offence which carries a maximum sentence of 10 years' jail. Damage to the radome is estimated at more than $1 million. The three have been granted bail and released and have a June 9 pre-depositions hearing. Supporters rallied outside the courtroom in Blenheim on May 5 and yelled "What do we want? Waihopai Closed''. the Anti-Bases Campaign in Aotearoa/New Zealand. Plane, train, bus, and then car brought me home from the long journey to Brazil. My mind is like mush right now so I won't write much. I am not a big airplane sleeper but I did actually get a couple of hours of sleep (if you can call it that) on the red eye special from Sao Paulo to New York's JFK airport. 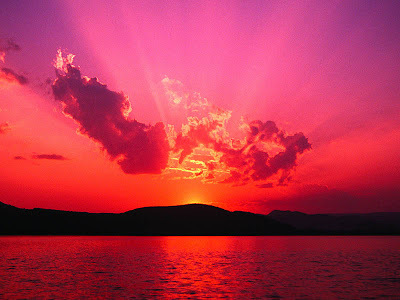 The sun is shining here at home and many emails and phone calls are waiting on me. First though a good dinner and a real sleep will be needed before I can do much work. Luckily my week is a relatively quiet one. Next up will be some meetings later this week and this weekend to discuss sit-ins at our congressman's office unless we hear from him soon that he will vote against the Democratic plan to give Bush another $172 billion for the occupation of Iraq. So far his office is not returning our calls. And he wants us to vote for him as he runs for the Senate against current Republican Sen. Susan Collins. Democrats just think they own us.